Thank you SO much for all the sweet comments and encouraging words!! You guys are the best!! 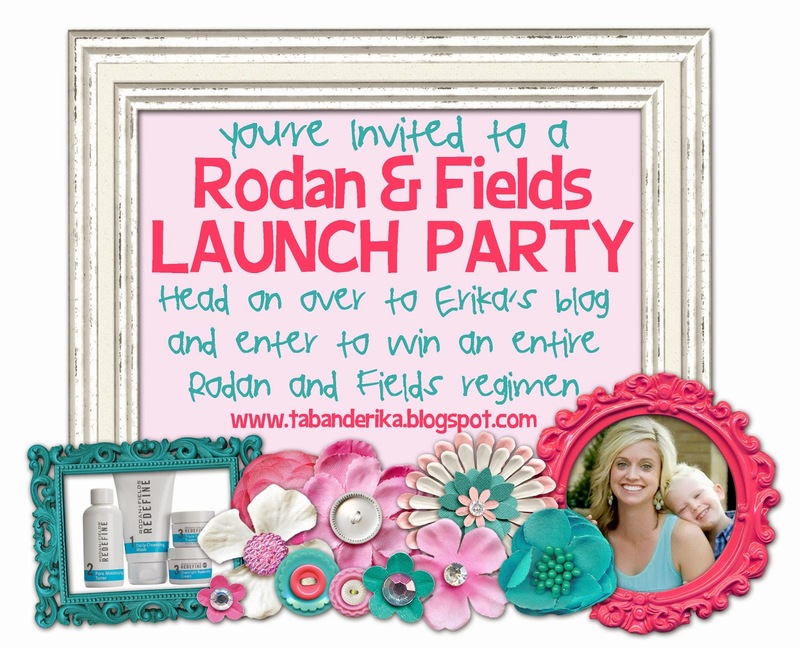 HERE is the link for my R & F website. Several of you said that you were interested in learning more or talking about the products. If you'll leave your e-mail in a comment, I'd love to discuss skin care with you. Or...you can e-mail me at alittlebitofeverything83@yahoo.com. Also...there's still time to enter the giveaway. Go here to enter. The giveaway closes on May 26th. Good luck!! I'm changing things up today and sharing more Disney pictures. HAHAHAHAHA!!! This picture CRACKS me up!! For some reason the photographer told us to hold our hands up, WHO KNOWS WHY?! But...check us out! We ALL did it EXCEPT my hubby!! He apparently is WAY too cool for that?! hahahahaha!!! We started off the day with all the Nemo fun. These are those birds on Nemo that say, "My, My, My"....you know what I'm talking about?? haha! Not sure who is having a better time!! haha! Me and my crazies...sometimes it feels like we are rolling around in a shark's mouth...ha! We took a little break for a Lion King show. The other side of the row. These two kiddos had a BALL in the splash park. We made it to Norway....the inspiration for the Frozen movie!! Then (in the BLAZING hot part of the day I should add) we hit up the Monster's Inc. play area. How did he not care it was approximately 134 degrees outside?? haha!! While waiting in line for a ride, there was an interactive game on the wall. (I actually think it's a way for Disney World people to laugh at us...hahaha!!) I HAD to take a picture because our group was ALL participating (and lady in the pink was getting with it). Then I noticed that we were pretty much the only people doing it!! hahaha! We had dinner at the Akershus Royal Banquet Hall with lots of princesses!! Check out E's face looking at Belle! Ebby Lee participated in the parade around the restaurant. Cinderella (she was my absolute favorite!!) She was SO sweet. Somebody else was a little "struck" by Cinderella too. Snow White...let me add that Nixon was under the table while all the princesses were walking by. He didn't "dig" the characters, but he REALLY didn't "dig" the princesses! Then Ariel came around and she was a little smitten with Bowen. Maybe the feeling was mutual?? This dinner was SO much fun!!! It was definitely one of my favorites!! Back at Magic Kingdom to see the parade!! After waiting in our GREAT parade spot for an hour, they announced that because of "security reasons" the parade was cancelled!! These are our sad faces!! Good Morning from the Animal Kingdom!! Nixon isn't "into" riding a ride that gets his normal clothes wet. We let him sit this one out...good thing because I was SOAKED!! This pictures are hilarious!!! Clearly I thought Ebby Lee wasn't safe unless I was HOLDING her down!! Sister would ride ANYTHING!! Isn't it funny how kids are SO different?? This is us BEFORE we got soaked on the ride! On the Dinosaur ride, two words...Nixon's face!! hahahaha! Because we had reservations for lots of character meals, we didn't stand in many lines to meet the characters/princesses. But...when we saw how short the line to see Goofy and Pluto was, we headed over. In this picture, Goofy is shaking his booty at Ebby Lee...hahaha! Thank you, Goofy! Each of my kiddos' reactions...hahaha!! They're all so different!! Looks like Nix is hanging on for dear life! The girls on the safari ride...that was a REALLY cool ride! I was impressed that Bowen's head was looking in the right direction to see that rhino!! haha! Then we hit up the petting zoo! This was TOUGH for the babies. Let's just say...that "brown stuff" on the ground looked like fun to them!! ICK!! The goats and sheep tended to hang out in the area that was off-limits to people!! Boo! We had dinner at 1900 Park Fare with Cinderella, Prince Charming, her evil step-mother, and the step-sisters. Cinderella was so cute! Ebby Lee insisted I take my picture with Prince Charming too! And...that step-sister was hilarious!! Step-sister LOVED her some B!!! BIG time!! It was the cutest thing and he loved every second of it! Check out Nixon...he's hiding under the table! This sister's voice was the most ANNOYING sound I've ever heard in my life! Doesn't E look so mean?? hahaha!! We headed back to the pool for a little relaxation and pool time! Remember I am NOT a Disney pro, but if you have any questions, I'd love to answer them for you. I'll do a Disney post next week answering them all. Thank you!!! Oh my goodness...Ebby Lee's face in every single princess picture is PRICELESS! Disney should use all of those pics as advertisements! So, so, so, so sweet!! Okay...so I'm searching each picture to see if you have your denim shorts on...the ones that Tab thought you needed to do some soul searching over. Maybe they are still to come?!? I can't wait. :) Super cute pics today though. Your kids obviously had the time of their lives! I absolutely love how in love Ebby Lee is in every single picture! You can see the joy and excitement on her face every time! So precious. And too, too funny that Nixon had the exact opposite reaction...poor guy! I hope he enjoyed the rest of the trip that didn't involve characters and photo ops! Ha! Love your blog! Such cute pictures! Btw, the reason they tell you to hold your arms up in front of the Epcot ball thing is to make it look like YOU'RE holding it up! Ha! I love all the pictures, especially your kids' reactions to the characters! I just love Ebby Lee's face when she is looking at all the princesses and characters....she looks so excited about all of them AND Nix hiding under the table cracks me up every single time, hahaha!!!! So much fun!!!! I had to share that I tried on the Sketcher's Go Walk shoes and they are so comfortable! I will be investing in a pair! I also had to share with a stranger that "this girl I knew" walked around Disney for days and only wore these shoes and she said her feet never hurt! I may have to check out those shoes bc I wore my toms a couple days at Disneyland & though they are so comfy, by the end of the day, after 12 + hours of walking my feet hurt bc they lack a lot of cushion on the bottom. Absolutely love your post!!! It's so magical to see Disney through a child's eyes. Precious. Love your blog! I was wondering what you thought about the resort you stayed. We are looking to plan another trip back in Feb. and can't decide if we want to repeat the resort we stayed at (Wilderness Lodge) or branch out and try something new.